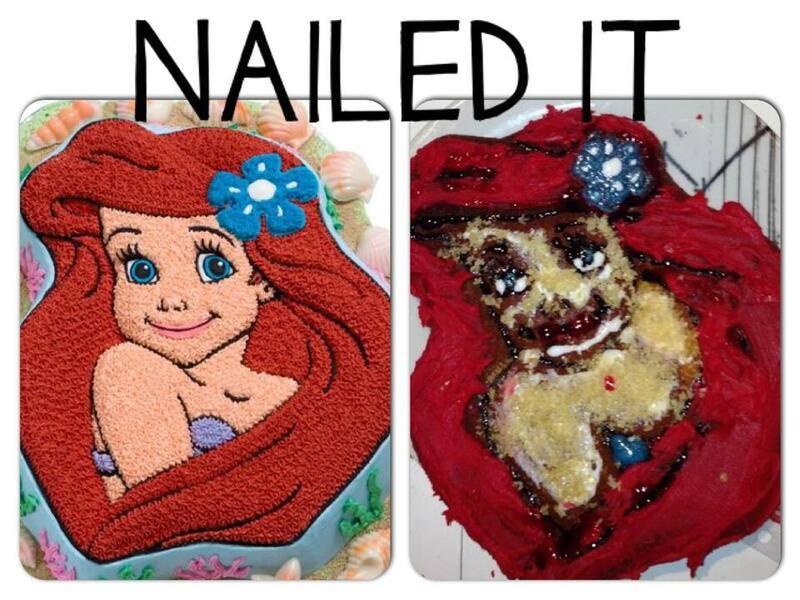 Usually, Disney princesses would be welcome at a kid's birthday party, but we don't want this little mermaid 'part of our world' in any way at all. We have never seen a cake this scary before and it ruined our chances of getting a good night's sleep. It looks like something is being devoured by a red monster. We might need to take a break from the mermaid obsession for a while until our mental scars have healed.